This image makes me think of a child’s picture book of counting. 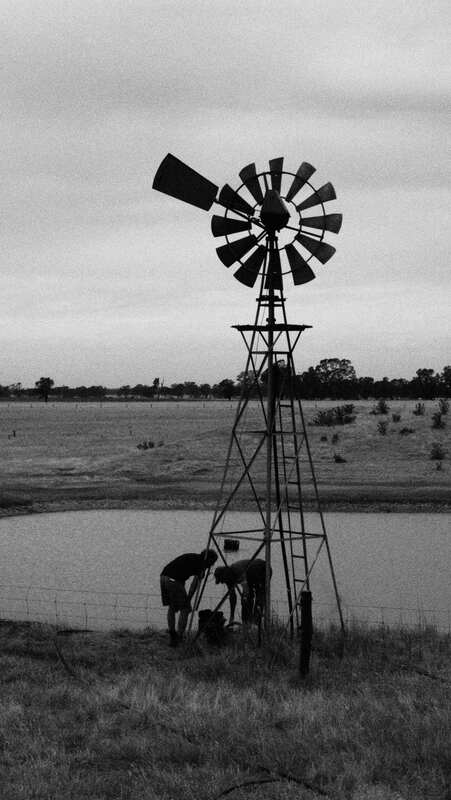 I love, love, love watching people doing good with their hands – in the kitchen, at the craft table, in the garden, on the farm… When father and son went out to fix the windmill, I asked if there was room for me in the ute – there was (barely), and I made good use of my time snapping away as they worked. The dogs, Ginny & Twinkles (I think I’ll call them G&T for short! ), came along for the ride, and kept me company while the men worked. Out cutting wood, the steers from across the boundary fence thundered up, stopped abruptly a few metres from the fence, then stamped and stared while the chainsaw buzzed. 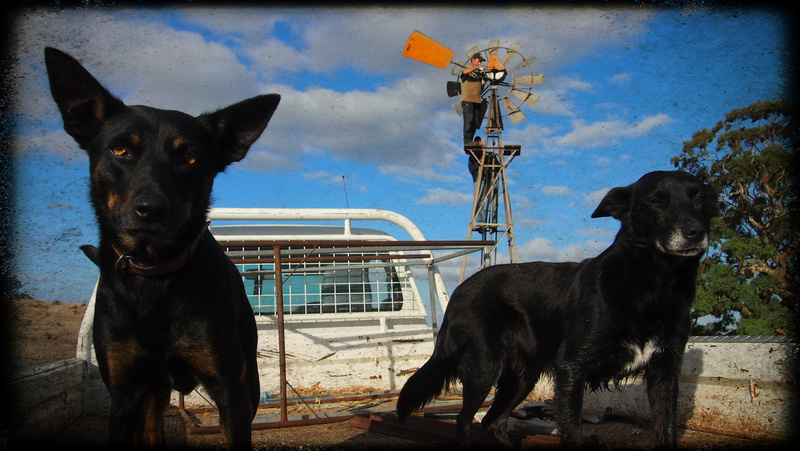 Twinkles & Ginny are my favourite farm dogs – Kelpies – who go everywhere together. Ginny is the slightly-more-sensible elder, and Twinkles is as silly as a wheel. I love the little game of “getting to know you – again” that we play every time I see them: they start out being all coy and standoffish, and usually end up vying with each other for a pat. Please click image to view the farmboy up the windmill tower. It must have been frustrating for these men, trying to wrangle a pump that wouldn’t go, but I do love watching farmers work – there’s something honest and humbling and worthy about people doing things with their hands. 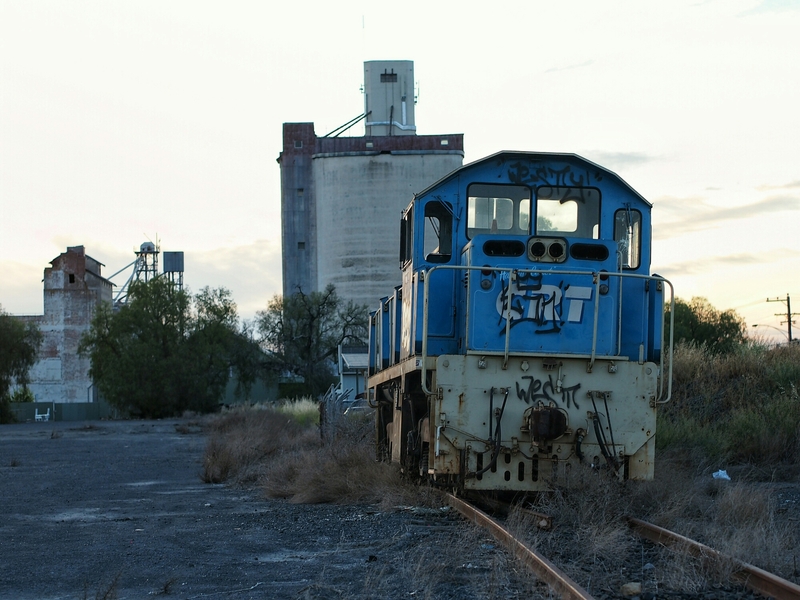 A quick trip round the back of nearby Mount Arapiles took me past these small grain silos. 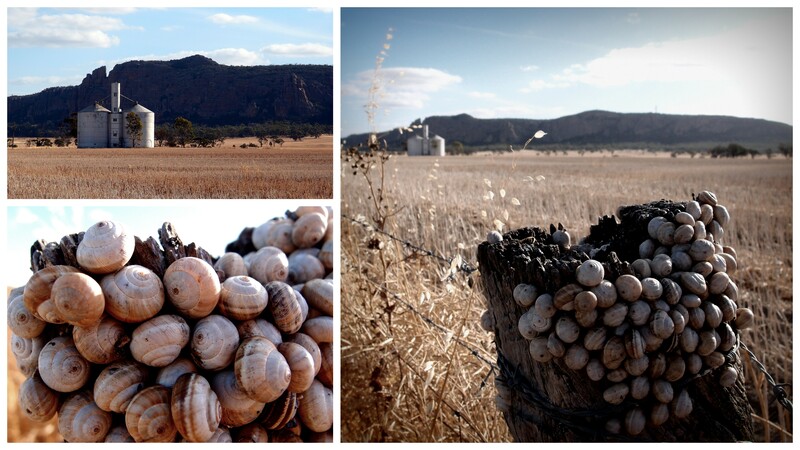 When I walked across the road to get closer (and eliminate the fence from my shot), I noticed the fence post was covered with snails – a fairly common sight in this type of farmland.